If you've been following Britain's Christian music scene for any length of time, you will have heard the music of Andy Baker even if the Cheltenham-based creative's name doesn't bring instant recognition. Down the years, Andy has produced numerous albums for such acts as The Gentlemen and Philippa Hanna, recorded occasional singer/songwriter sets and run one of the most important ministries in British Christian music, Resound Media. Now this human dynamo has instigated an initiative which might turn out to be his most influential yet to the life of the British church. Andy came to Cross Rhythms to tell me all about Homegrown Worship. He described their story so far. Said Andy, "Homegrown Worship is a fairly new thing that we've been conceptualising this year. About a year ago I felt this desire to spend more time with God each day so I decided to get up a little bit earlier. I was finding it difficult to find time in a busy working day and I was often just falling asleep in front of the TV at night. So I thought why don't I get up a little bit earlier and spend time with God. So I begin the day journaling, getting my head in order. I write a gratitude list each morning just to say thank you to God for food in the fridge, for answered prayers, for big things, small things to get my heart right. Then I would open Scriptures, pick up my ukulele and hit record on my phone. Basically, I would capture a time of worship each morning. Some mornings it's two minutes; some mornings it's 10 minutes but out of that have grown lots and lots of songs." Andy continued, "So on one level, Homegrown Worship is a collection of songs that have grown out of my living room. In June this year I decided that I'd start sharing these songs - a song a week. Not the recordings from my phone but studio recordings. Now that work has grown. 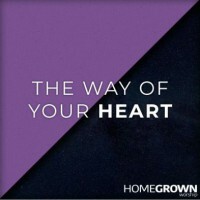 Next year Homegrown Worship begins sharing other people's songs as well. We've got a handpicked playlist of artists, writers and churches each sharing a handful of songs throughout the year. We're building up these playlists of new content; worship songs in all styles and genres. Our heart is to help people to write and share their songs and help Christian communities to bring more material into the Sunday services and to share more songs with their personal communities. I share my songs through Facebook; it's a really good thing to do. It helps artists, writers and churches that want to share their stuff within the context of a community rather than necessarily just building up their own name and brand. It's a way we can collectively build audiences around these playlists. It's a new thing and it's exciting to be sharing songs." Andy spoke about the way in which extemporised times of worship can lead to a carefully crafted song. "Songs can start in different ways. I teach song writing. You've got five elements: the melody, the harmony, the chords, lyrics or theme, rhythm and you have structure. You can start with any one of those things. You might feel inspired to write a hymn, which has a fairly set structure. It's different to the structure of a pop song. Or you may start with a little rhythm and think okay, I'm going to try something in this time signature or try something with this beat. It may be a melody that comes. I might read a passage of Scripture and set a little tune on my ukulele to that and then put some words on top. I may start with a poem. It can be any way round. When I'm teaching song writing I encourage writers to try starting from different points. A lot of the time I write songs quite naturally; chords and melodies come together and it is sometimes quite tricky to hem the words in around those things when they are really set. So it's good to try and start from different places, really, and just let the inspiration flow." Andy then spoke about transforming voice and ukulele recordings made on his phone into properly produced recordings that worship leaders and churches all over might connect with. "Some days I do get finished songs, other days I just get scraps of ideas and when we take them into the studio some of the songs are completely finished. All the lyrics and the arrangements are set and organised. And other times we've recorded songs where there has just been a verse and we have done spontaneous arrangements. Then we do post production and bring them together to make an arrangement that might work for radio and could be released." Andy feels a considerable disquiet about the way in which some aspects of the modern worship music ministry have developed. He said, "Primarily, every morning, my aim is not to write a song; my aim is to connect with God. I want to spend time with God; I want to have a relationship with God where I can talk to him, where I hear from him. I think what he wants is my heart. That's the thing that is most important. When my little girl, who's four, sings a song it really lifts my spirit to hear her sing. It doesn't matter how technically proficient it is or how memorable or catchy it is. I think you have to start there, by getting your heart right. So many local church songwriters now, they see worship leader pop stars in the States and think 'I'd really like to do that'. A lot of people go after the platform but they are not going after the relationship with God. Another matter is that in big or mid-size churches, a lot of the focus has shifted onto slick production and performance. I think the most important thing is the presence of God, going to church to want to meet with God and help people to meet with God. Production is good; don't get me wrong. I'm all in favour of sound being good and bands being rehearsed and all of that. But the aim should be connecting with God and spending good quality time with him. "I believe wholeheartedly practise makes perfect with writing. If you write every day and you start with simple songs, once you've done 365 songs you'll be doing a higher quality; you'll be doing better and better songs. I think it's a good thing for writers to be writing routinely because that is the only way that they will get better. Focussing on quality can be a bad thing in some respects. If you sit down and think I've got to write a hit record there's pressure there and you may end up contriving things which are not sincere because you are trying to write a hit or the song for the conference or the song Christian radio's going to love. I think the most important thing is to try and spend real good time and let the songs flow out of your life. Then the best ideas are going to come and as you do things routinely the craft is going to get better as well." This most experienced singer, songwriter, producer and worshipper feels that churchgoers often fail to grasp that worship can often be a lot more than joining in an act of congregational worship. He said, "The two collections of songs so far released by Homegrown Worship, 'First Fruits' and 'Fit For A King', are not written with an agenda of 'we need to get this into churches'. I listen to worship songs on my iPhone. I listen to songs that you might class as 'soaking' or 'ministry', some of them are CCM, they are testimony songs. Some of the songs might be too melodically advanced for Sunday morning in a Methodist church, for example. But all of that is worship. I think we have a very narrow view of what worship is. We think it's this soft rock genre and it's for Sunday mornings and Christian conferences. Worship is so much more broad and vast and obviously it's a life style. But if you look in the Bible there are so many different expressions of worship, which are suited to different styles and expressions. So what we're doing with Homegrown Worship is create new streams of content which aren't just regurgitating the same sounds and sentiments but are going much broader. Not everything is aimed at Sunday morning. "Firstly I think songs should bless God, you should bring them to him and spend time with him and they need to bless you. If a song is really blessing you the chances are it's going to bless someone else. If you've written a song and you think this is nice, I hope people like it and your focus is on getting validation as the writer for your creative offering that can be a bit of a difficult thing. You've got to make sure that the songs you're writing are blessing you. Some of the songs that I write, and I write one every day, I forget them. They might bless me that morning; it's something to start the day off with. But other songs are really shaping my theology; they're helping me see God in a new way. Other songs are really blessing the people in my family. When you know the songs are really deeply blessing you and you keep using them in your own personal worship and connecting, they are much more likely to bless other people. Whether it's Sunday morning or you share them on youtube and people start engaging with them that way, I think that's the test for me. That's how I decide whether something is worth sharing. How much am I excited by this? How excited am I to share this? When you've got a hundred songs to choose from you're going to pick the 10 that you know have some power and have something special about them. When you write just five songs and think I need to share these you're perhaps going about it in a back to front way." 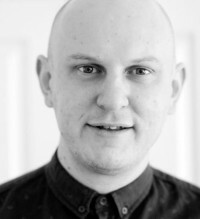 Andy summarised his life since Cross Rhythms last interviewed him in 2009. He chuckled as he began, "Yeah, there have often been periods of spinning plates. When I started out in 2005 with Resound Media we developed The Gentlemen, then Philippa Hanna. That was quite focussed for a few years. I travelled all around the world with Philippa; that was very exciting. I met my wife, Emily, on the road in 2008 when Philippa was touring with Graham Kendrick. Around 2010 we set up Sound Consultancy, artist development services; we help artists with music production, branding and we do this thing called virtual management. It's consulting, helping people with their planning and their promotion strategies, that kind of thing. That helped us to build a team; we were getting more clients, artists who needed help - a lot of whom were Christian but a lot of artists in the general market. In 2014 we launched a crowd-funding platform called Rocket Fuel, helping artists to engage with their fans, followers, friends, family, their communities to help fund projects. We've helped artists raise hundreds and thousands of pounds through Rocket Fuel and crowd funding. So, yes, there have been quite a few things going on: the management, the Sound Consultancy services and Rocket Fuel. Homegrown Worship has come about in this past year; we're still helping artists, we're still helping with crowd funding, still managing Philippa, which is really exciting. She's such a hard worker and always doing new things. She's got a book out next year, which is a 365-day devotional journey. She does a daily inspirational vlog, which is incredible. She does nearly a hundred shows a year plus daily uploads. I think she must have a twin; I don't know how she maintains the stamina. She's doing really well. It's an exciting time, it's busy but we do have a good team in place." With a certain presumption, I suggest that it doesn't sound like Homegrown Worship is going to generate much in the way of income. "There are quite a lot of different things we do to generate income for Resound Media. We dabble in publishing; I have my songs and we look after publishing and administration for a few artists. We have our own label so we generate some revenue there. We do services, management, crowd funding. We make a lot of records. We've got three producers in the company so that's a big part of what we do. We've got a residential facility that we run in Gloucestershire. Some years we've been focused in particular areas and it does change around to some extent." Andy admits that there are plenty of challenges ahead for Homegrown Worship to reach its full potential. "Basically the aim there is to try and grow an audience by having regular content shared as opposed to creating a project, marketing it heavily and hoping you sell enough copies to make it work. We are trying to build something that is aimed very much at the streaming generation, or the streaming market." Video will also, of course, be an important factor in Homegrown Worship's growth. "What we do with each release for Homegrown Worship is we do a recording, so far they've all been studio recordings but we're planning some live recordings next year, we put the recording on streaming and download sites and we do a lyric video. Also, people can buy physical CDs direct through our website." This modern worship visionary finished unpacking his hopes and dreams for Homegrown Worship. "We have a vision to share songs every single day in different styles, genres, with different themes. Not just sharing something we think is going to be a congregational belter every day of the week - that is not what we're trying to do. We want to explore new types of worship and maybe do a playlist where we get sounds of London or songs from Singapore, where there's a purpose within the playlist and a reason for people to tune in next week cos there's a new song coming from this location or a new song coming in this style of music or there's a new song coming from this theme or series. I wanted to share the concept and idea for Homegrown Worship. For me it's about modelling the idea so I didn't want to put my name right at the front and say here's another song from Andy Baker and here's another song from Andy Baker. Perhaps coming into next year and beyond I will share some collections with my name (and maybe if I'm feeling brave) with my face attached to them. But really the heart of this is to share new songs and help to encourage other people to share songs. "So Homegrown Worship is the umbrella, then beneath that we're creating these playlists, like I mentioned. We've got the hand-picked playlist and within that there are 12 artists, writers and churches who are going to be sharing songs as well. I thought it was most apt as we start this off to share them under Homegrown Worship. We're building a collective of people who will be sharing music as part of Homegrown Worship; we'll be taking Homegrown Worship on the road; we're doing a first Homegrown Worship Live album, which will include other voices and faces. It's a new idea and we're just trying to get the idea out there. It takes a bit of time for people to catch it. And because Homegrown Worship is new, we don't quite know precisely what it is but what we're doing now is sharing new songs every week and trying to get to that goal of sharing new songs every day. It really blesses those involved in the sharing process and it blesses the communities around them."